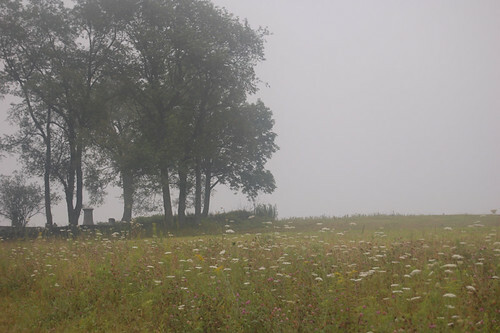 Stopped on top of a big hill outside of a small, lonely cemetery on a foggy morn, it really struck me how nature has us surrounded everywhere, even though we may assume otherwise. 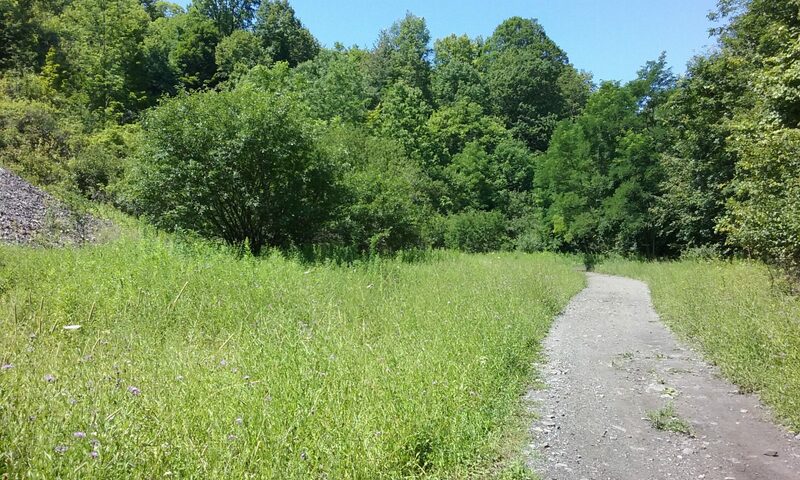 Even our bigger cities and towns in relatively civilized Upstate NY are merely smallish island outposts surrounded by vast fields of chirping crickets, nodding wildflowers, and untended shrubbery. And you will get very wet, dirty and itchy very fast if you venture even a few yards away from the pavement. All of it going on day and night, year after year, not caring one bit about anything good or bad that goes on in Syracuse, Albany or even way far away in powerful New York City. Yeah, nature never gives up. Just look at how fast it can take back abandoned lots, houses and commercial areas if left to its own devices. It’s nature’s world–we’re just living in it. I lived in Chenango County for a few years; beautiful country but it truly is in the middle of nowhere. Or, everywhere. Depending on what’s where for you. I can smell the pungent, sharp odor of hot weeds from that photo.